Nelson Freire (born October 18, 1944) is a Brazilian classical pianist. Freire began playing the piano when he was three years old, amazing everyone around him by replaying from memory pieces his elder sister had just performed. His teachers in Brazil were Nise Obino and Lucia Branco, who had studied with a pupil of Liszt. For his first public recital at the age of five, Freire chose Mozart's Sonata in A major, K. 331. In 1957, Freire's performance of Beethoven's Piano Concerto No. 5, at the age of 12, was awarded 7th place at the Rio de Janeiro International Piano Competition by a jury which included Marguerite Long, Guiomar Novaes and Lili Kraus. Following the competition, he left for Vienna to study with Bruno Seidlhofer (who also taught Friedrich Gulda). In 1964, Freire won first prize at the Vianna da Motta International Piano Competition in Lisbon, as well as receiving the Lipatti Medal and the Harriet Cohen Medal in London. 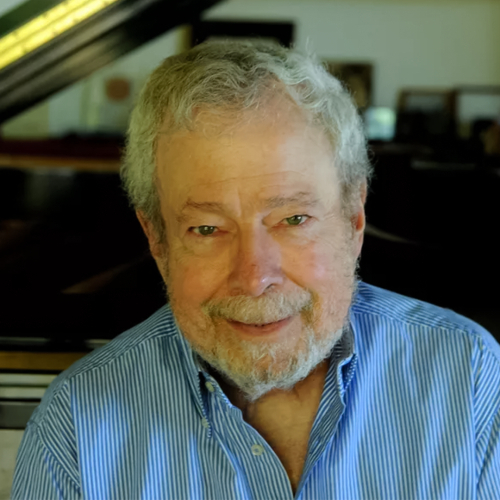 Freire began his international career in 1959 with recitals and concerts in the major cities of Europe, the United States, Central and South America, Japan and Israel. He has worked and toured with many of today's leading conductors, including Pierre Boulez, Eugen Jochum, Lorin Maazel, Charles Dutoit, Kurt Masur, André Previn, David Zinman, Vaclav Neumann, Valery Gergiev, Rudolf Kempe, Gennady Rozhdestvensky, Hans Graf, Hugh Wolff, Roberto Carnevale, John Nelson, Seiji Ozawa and Riccardo Chailly. Freire has made guest appearances with many leading orchestras, including the Berlin Philharmonic, the Munich Philharmonic, the Bayerische Rundfunk Orchester, the Royal Concertgebouw Orchestra of Amsterdam, the Rotterdam Philharmonic, the Tonhalle Orchester Zurich, the Vienna Symphony Orchestra, the Czech Philharmonic, the Orchestre de la Suisse Romande, the London Symphony Orchestra, the Royal Philharmonic, the São Paulo State Symphony, the Israel Philharmonic, the Orchestre de Paris, the Orchestre National de France, the Philharmonique de Radio France, the Orchestre de Monte Carlo and the leading orchestras of Baltimore, Boston, Chicago, Cleveland, Los Angeles, Montreal, New York and Philadelphia. In Warsaw in 1999, he scored a genuine triumph with his interpretation of Chopin's Piano Concerto No. 2, marking the 150th anniversary of the composer's death. In December 2001, he chaired the jury for the Marguerite Long Competition in Paris. He has recently given performances at New York's Carnegie Hall, with the St. Petersburg Symphony Orchestra in St. Petersburg, at the Prague Spring, with the Orchestre National de France and leading orchestras in Baltimore, Boston, Montreal, New York and Utah. He has appeared with the English Chamber Orchestra (in France and Portugal) and the Orchestre de la Radio Suisse Italienne, and given recitals in Brussels, Paris, Rome, Munich, Lisbon, Luxembourg and Zurich. In 2002/2003 he made two concert tours under the direction of Riccardo Chailly, with the Royal Concertgebouw Orchestra of Amsterdam and the Orchestra Sinfonica di Milano Giuseppe Verdi. He also appeared with the Tonhalle Orchester Zurich and the NHK Symphony Orchestra of Tokyo, and regularly fulfils engagements in his native Brazil. Nelson Freire has recorded for Sony/CBS, Teldec, Philips and Deutsche Grammophon. He has recorded Liszt's piano concertos with the Dresden Philharmonic under Michel Plasson for Berlin Classics. Another notable performance, which was put onto a DVD, was a recording of four-hand and two-piano music with Martha Argerich playing, among others, the two-piano version of Ravel's La Valse. His recording of the 24 Chopin preludes received an Edison Award. Freire has recently signed an exclusive contract with Decca, the first result of which are recordings devoted to the works of Chopin, which have been greeted with critical acclaim, receiving the Diapason d'Or, a "Choc" award from Monde de la Musique, as well as being rated a "10" by the Répertoire magazine and "recommended" by Classica. The recordings comprise, in 2 CDs, the 24 piano études and the 2nd and 3rd piano sonatas, as well as the Barcarolle op. 60. Subsequent recordings include a 2-CD set of the Brahms piano concertos with the Gewandhaus Orchestra under Riccardo Chailly - which won the 2007 Classic FM and Gramophone awards in the Record of the Year and Concerto categories - and a CD devoted to Beethoven sonatas, also on Decca.